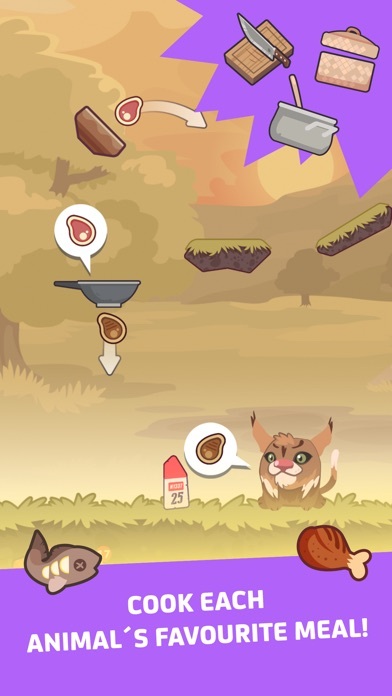 This chef loves feeding his pets! He’s gone as far as traveling the world to find the best dishes for animals. 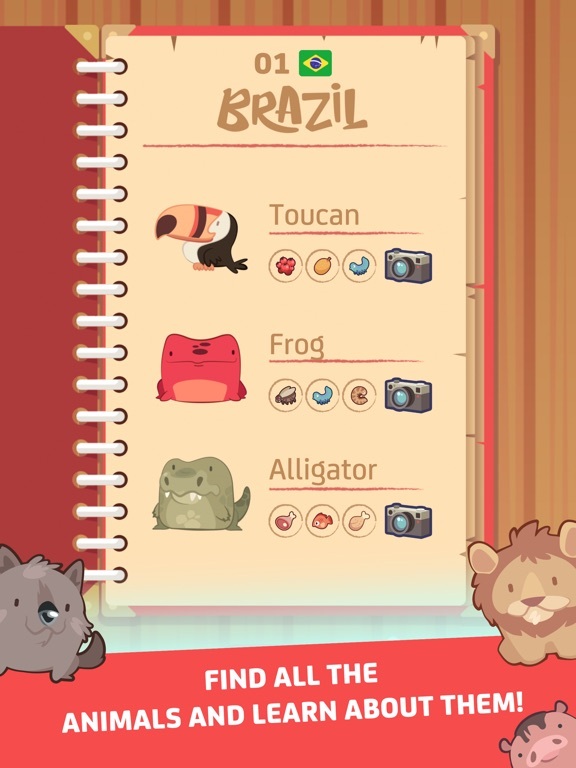 Join him around the globe and help him prepare his finest creations – visit 6 different countries and learn about as many animals as you can while you feed them. 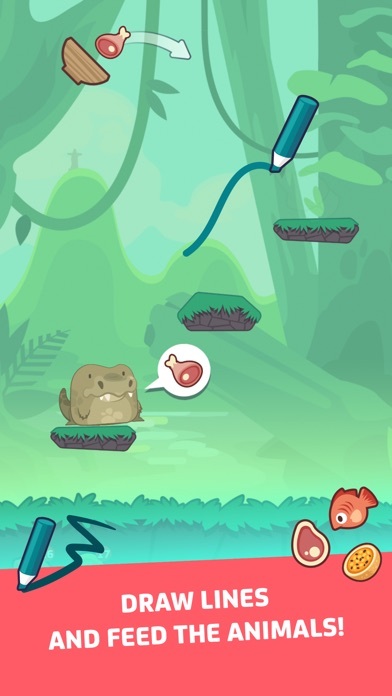 Safari Chef is a physics-based puzzle game with simple mechanics – just draw shapes to deliver the food to each animal. 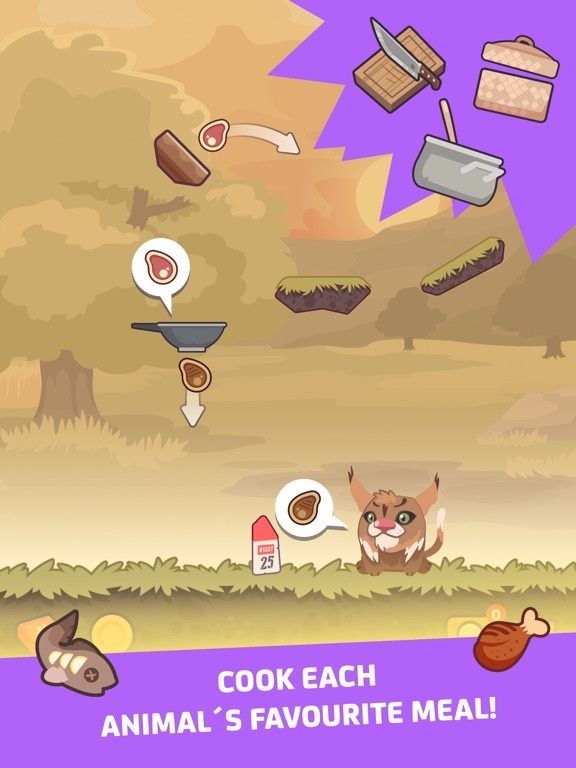 Put your wits to test to solve every puzzle and feed every pet! 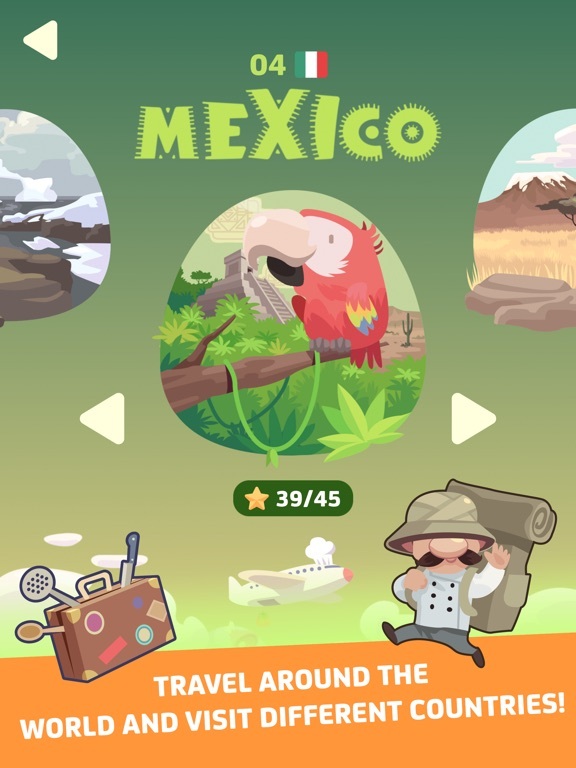 FEATURES: - Visit 6 different countries around 5 continents: Brazil, Spain, Greenland, Mexico, Kenia and Japan, with a total of 90 unique stages. - Meet and feed over 15 different animals who have particular diets and restrictions. 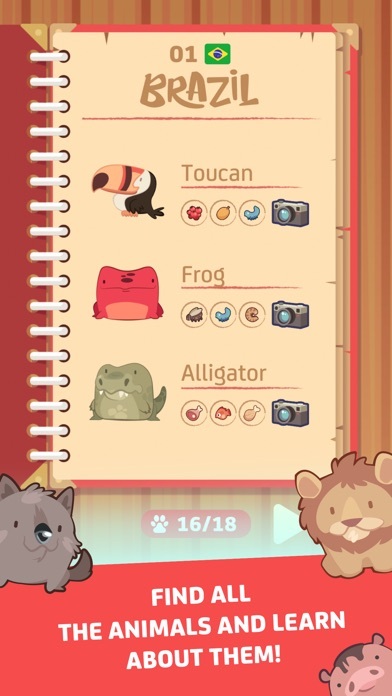 You can even take pictures of them and save them to your bestiary! 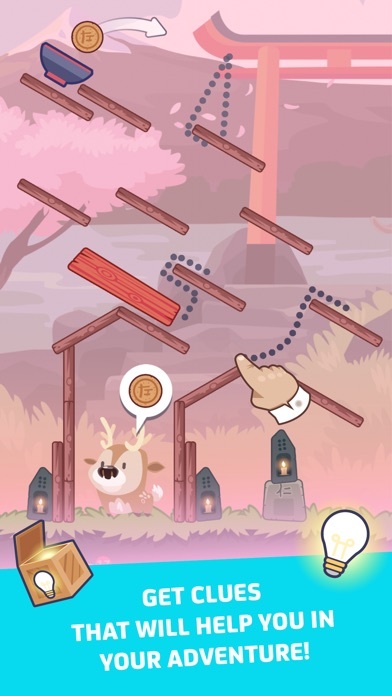 - Unlock help packs (tips) as you make progress to solve the puzzles more easily. 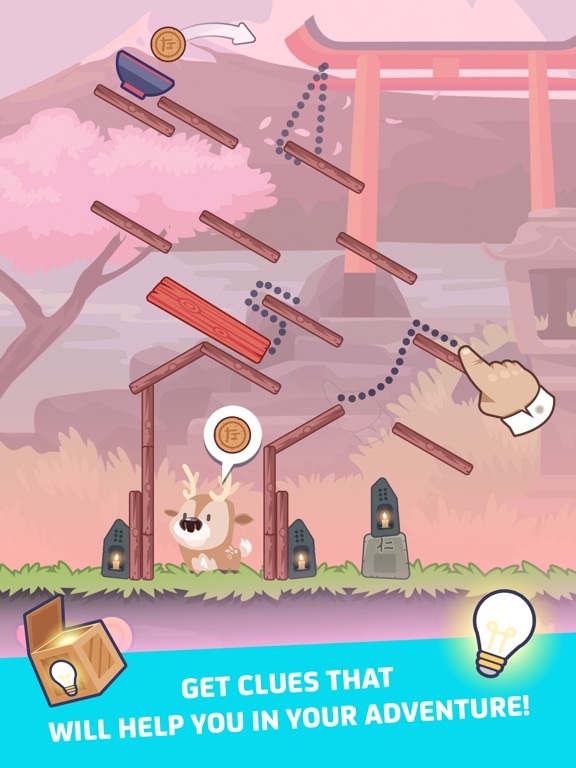 - Discover the challenging mechanics and items that will make your experience even better: pans, pots, cannons, sticky floors and hundreds of obstacles to tackle! - Handle, mix and cook over 50 kinds of food. 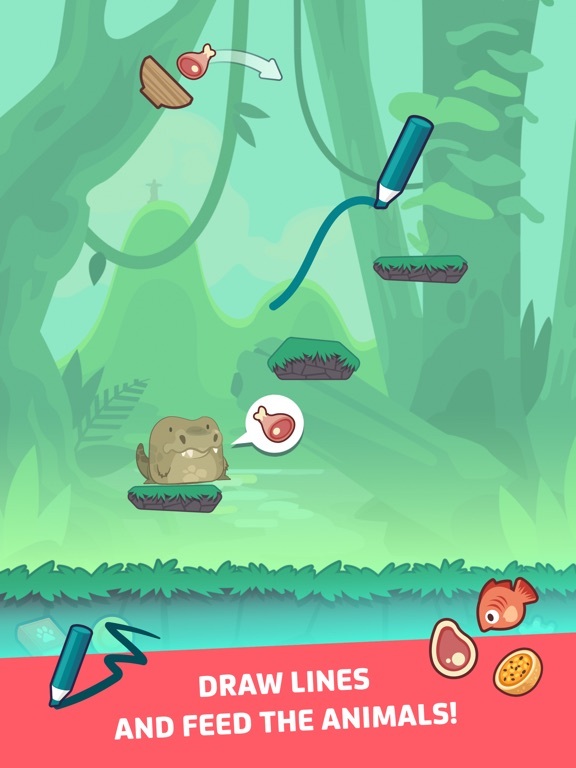 - Clear all 24 achievements. 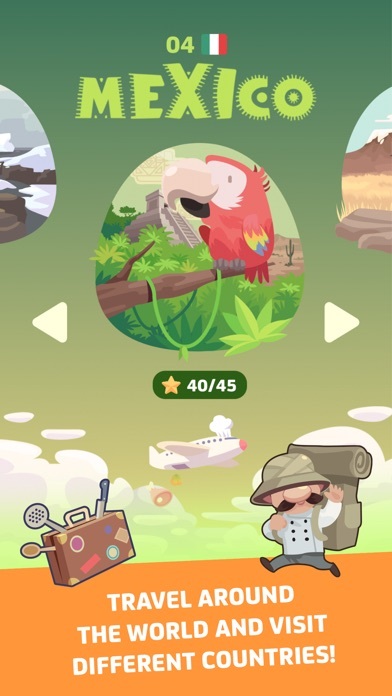 The journey goes on with new stages and animals that will become available in the future… Good luck, rookie cook!